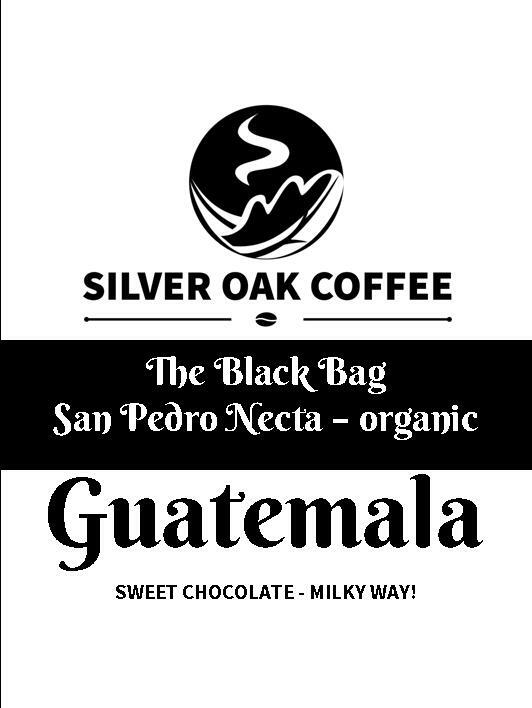 Roaster’s tasting notes: this is a lovely decaf, lots of chocolate with a smooth, creamy body, with a flick of citrus to end. Gorgeous. 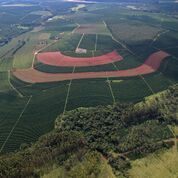 Coffee has been cultivated at Fazenda Bela Época for more than 80 years, running through three generations of producers who are passionate about coffee. 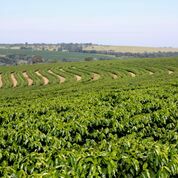 With fertile soil, lightly undulating land and a well-defined microclimate that is highly amenable to growing coffee, the farm stands apart in the production of high quality coffees. 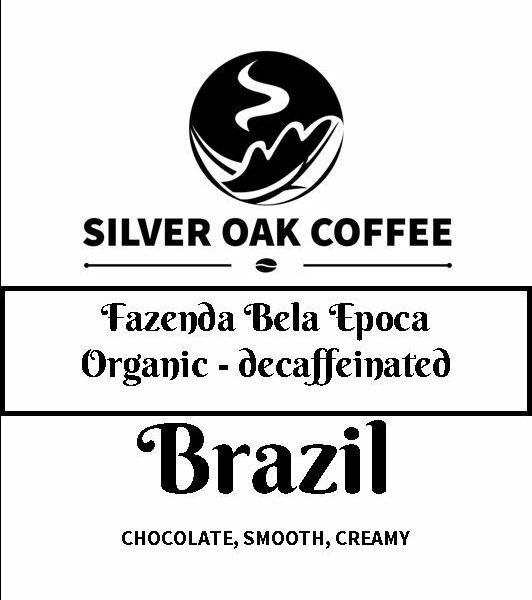 Perhaps even more impressive is that the farm’s production is organic – a rare thing in the Brazilian coffee landscape. 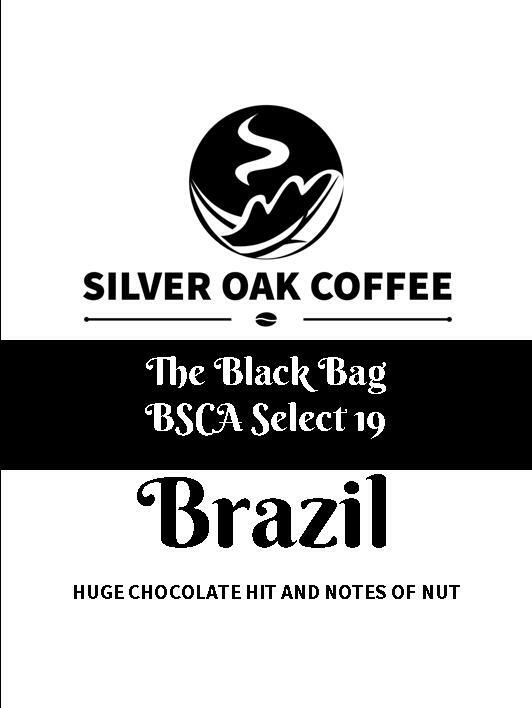 It all started with Mr. Idelbrando, current owner Luiz da Cunha’s grandfather, who originally had a small plantation with 20 thousand coffee plants in the family’s property in Ribeirão Corrente, in the State of São Paulo. At that time, as a small boy, Luiz da Cunha was fascinated by the work that was done on the farm. He would help in the fields, even when he was very young. In 1973, at the age of 26 and married to Mrs. Terezinha, Luiz made a decision to increase the family’s investment in coffee due to his confidence in its profitability. The farm’s current name is a reference to the historical period of BELLE EPOQUE at the end of the 19th century – a time of economic and cultural strength and elegance. The farm continues to be a family affair, certainly. 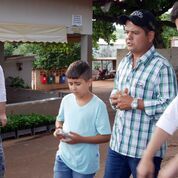 “Me and my brother Luis Claudio and my sister Silvia are now heads of the business, but our father, Mr. Luiz da Cunha, who is 70 years old, is still in the activity”, says producer André Cunha, also president of the Alta Mogiana Specialty Coffee Producer Association, associated since 2006. 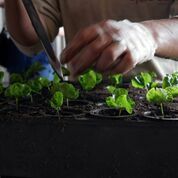 As a certified Organic farm, production processes are executed within the strictest standards of quality and traceability, complying with socio-environmental regulations and audited by certifying entities such as UTZ and Rainforest Alliance and the requisite Organic bodies. All the production is traced and certified by the IBD – Orgânico Brasil, JAS Organic(Japan), USDA Organic (USA), and Organico Europa (EU). 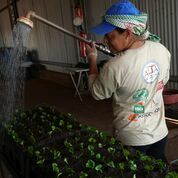 Conservation is a hugely important activity on the farm. 20% of the total farm coverage is under forest preserve. All springs are protected, and the family has actively sought the restoration of preservation areas and the construction of ecological corridors between conservation zones. As with all organic farming, agricultural practices require precision agriculture and the application of fertilisers according to soil analysis. 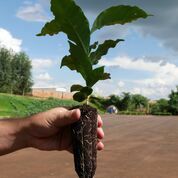 This reduces costs with regards to inputs and operations and concomitantly balances the farm’s soil in addition to causing a lower environmental impact. Some 20people year-round are hired to accomplish the work of renovation and organic application of fertilisers and pest controls. 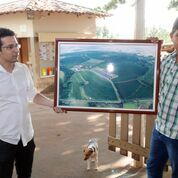 The farm is differentiated not only by its Organic farming techniques but also by its work over the last 20 years in the genetic improvement of coffee varieties, in partnership with entities such as the Instituto Agronômico de Campinas (IAC) and the Fundação Procafé. 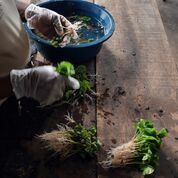 The secondary agricultural activity on the farm, in fact, is the production of certified seeds and saplings. 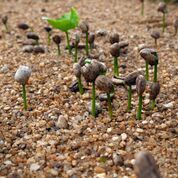 The experimental fields are home to more than 200 different coffee varieties and produce 4 million seedlings a year. 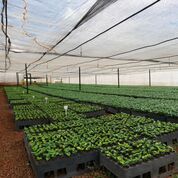 The work is undertaken with the aim of selecting plants with improved productivity, an exceptional cup quality, resistance to disease, uniform maturation, longevity and desirable plant architecture. Among the better lines, the following stand out: Bourbon Amarelo IAC J10, Catuaí Vermelho IAC/99, Catuaí Amarelo IAC/62, Mundo Novo IAC379/19, Obatã Vermelho IAC1669/20, Obatã Amarelo IAC4793, Topázio, Catucaí and IAC125. The farm is also home to samples of Geisha, Maragogype, Ibairi, Pacamara, Catiguá, Aranãs, and other exotic cultivars. 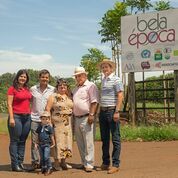 Recently, Bela Época started to industrialize part of its production, separating specialty lots and emphasizing the Organic Specialty subcategory of production. 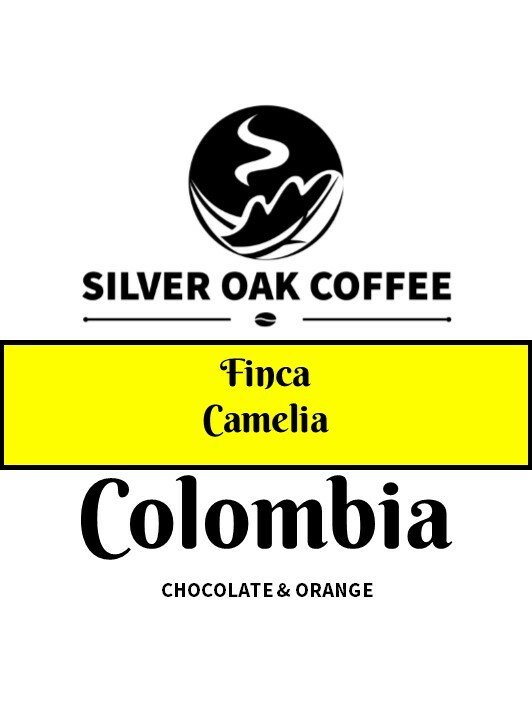 “The production of organic coffee is in our agroforestry area. 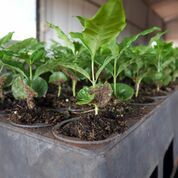 These beans have unique characteristics due to the absence of chemical products in all of the process, resulting in a differentiated and very special coffee cup” opines André, since the farms are all traced and certified by the most recognized entities in the world. 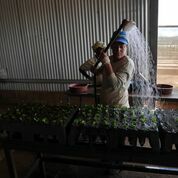 During the harvest season an additional 10 workers are brought in, bringing the total to 30 people. In its 30 coffee plots, harvesting is manual and selective until the crops are five years old. 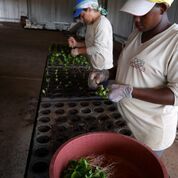 Subsequently, the whole harvest process is mechanized, though lots are still kept separate according to plot and variety and focus is kept on maintaining a maximum percentage of ripe coffee cherry (maximum 3% green). In some of the smaller, shaded plots, harvesting is 100% manual. The post harvest facilities are made up of suspended yards, paved patios and mechanical dryers. Part of the farm’s production goes through washers, huskers and centrifuge, resulting in hulled ‘cherry’ coffee. However the majority of the coffee is processed using the Natural Method, as is this 100% Yellow Obatã lot. 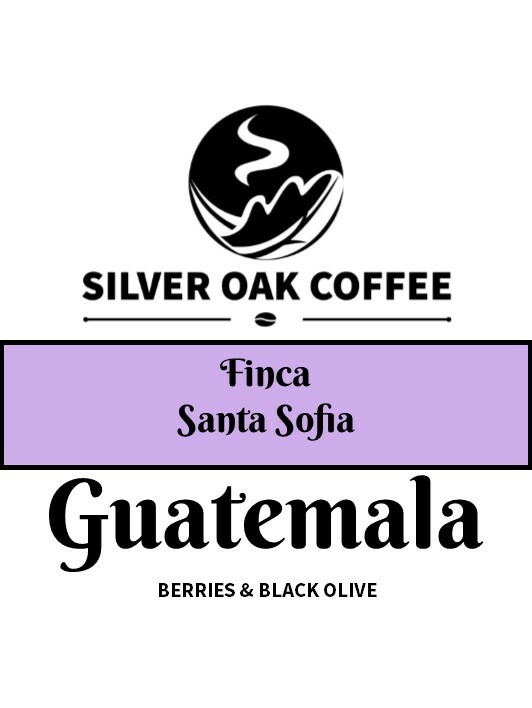 Harvested coffee is delivered to the farms extensive patios on the same day as being picked. 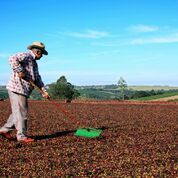 Drying takes between 15 to 20 days, and coffee is turned 8 to 10 times a day during the course of this time. The farm uses equipment to measure grain humidity, controlled daily to the point of 11 to 12% humidity, at which point it will be bagged and rested. 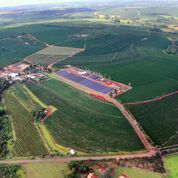 Today, Bela Época, with an annually production around 15 thousand bags, has needed to expand its plantations to other areas of the Alta Mogiana Region. Looking for a new micro region, the family recently implemented a project in the municipality of Ibiraci, Minas Gerais, in lands near to 1,300 meters in altitude. Time will tell, but the future looks rosy! 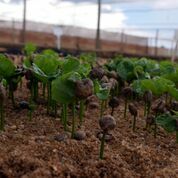 “We are constantly preoccupied with the quality of our products and the best methods for cultivation and sustainability. 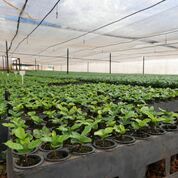 We have experimental fields that have over 200 varieties of coffee, analyzed and multiplied with the objective of selecting the best plants with better productivity and cup quality, sanity, uniform maturation, longevity and plant architecture” explains André. 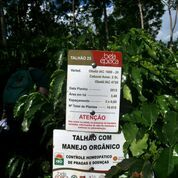 With the whole harvest segmented by lot, batches with marks of over 80 points (SCA) receive the seal of “Indicação de Procedência da Alta Mogiana”, which guarantees the quality of the coffee to buyers. According to the family, one of the biggest challenges confronting production in the region is climate change, which has made for a very unpredictable growing environment. The major impact has been climatic accidents like hail and frost, which damage plants for more than just the current cycle. In order to mitigate these circumstances, the family has sought to undergo improvements in farming practices, such as renovation work and updating planting spacing, which will help the farm’s trees to thrive. As well, it is hoped that climate change can be confronted by introducing more efficient cultivars and seeking agricultural techniques and products that have a good cost/benefit relationship. Last but not least, commitment to employees and communities is very important for the family. They have employed a psychologist dedicated to Human Development who conducts assessments and trainings for all employees and residents on a regular basis. The focus, primarily, is training and continuous improvement, aiming at the holistic ‘biopsychosocial’ health of workers on the farm. The farm also has on staff a Work Safety Engineer, who does the training regarding individual and collective protection equipment. In the future there are plans to bring the family’s passion for the environment to the wider community through a school outreach program. Watch this space for updates!